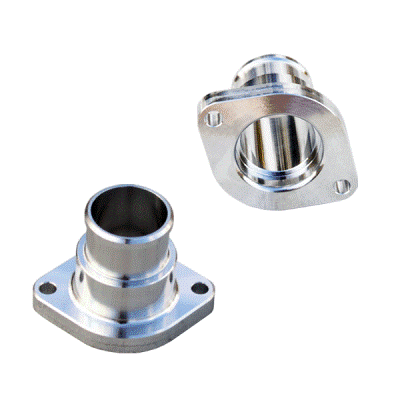 Innovative Bold Styling: Replace that eye sore of a factory water neck with UPR's Billet Water Neck for your 5.7 or 6.1 Hemi powered Dodge or Chrysler. Easy install with minimal mess and a great way to improve the underhood look of your car. Now available tapped with a fitting in the side to support your factory oil cooler. Quality Construction: No one else can Stack up to the bold clean styling of our aftermarket Billet / Stainless Steel Dress Ups, Street / Strip / Racing Suspension and Performance Parts for your American Muscle Car! Installs in 15 minutes or less. Fits these Vehicles: 2005 2006 2007 2008 Dodge Magnum 5.7 6.1 Hemi. 2006 2007 2008 2009 2010 2011 2012 2013 2014 Dodge Charger 5.7 6.1 Hemi. 2008 2009 2010 2011 2012 2013 2014 Dodge Challenger 5.7 Hemi. 2008 2009 2010 Dodge Challenger 6.1 Hemi. 2005 2006 2007 2008 2009 2010 2011 2012 2013 2014 Chrysler 300 5.7 Hemi 2010 2011 2012 2013 2014 Dodge Ram Hemi 5.7 Made in the USA!